Inert gas welding requires the oxygen level within the weld zone to be purged to a level as low as 100 ppm or less. 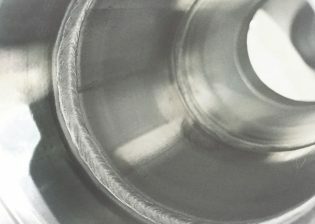 During inert gas welding the oxygen level should be monitored before, during and after the process to assure that the level will fall slowly to at least 100 ppm without rising suddenly. 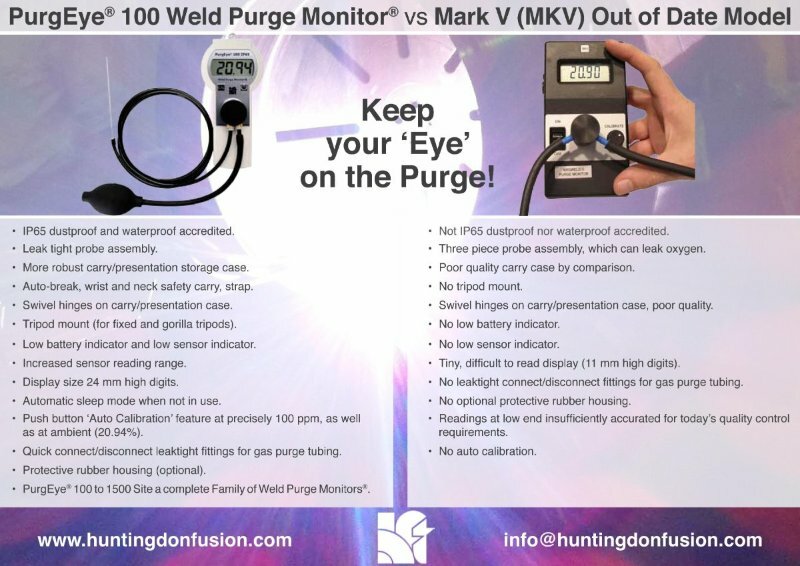 The low cost PurgEye® 100 Weld Purge Monitor® manufactured by Weld Purging Experts Huntingdon Fusion Techniques HFT® is designed to show users that the oxygen level will fall steadily to 100 ppm and remain below that for the duration of their weld process. This very handy purge monitor is battery operated, IP65 rated as is equipped with leak-tight push buttons, a vacuum-sealed leak-tight probe assembly and has an extra long life sensor. The self-calibrating analyser has a clear, easy to read LCD screen, boasting a 24 mm high display with features such as a low battery icon as well as a low sensor icon. When the monitor is not in use, an automatic sleep mode activates to conserve battery life. 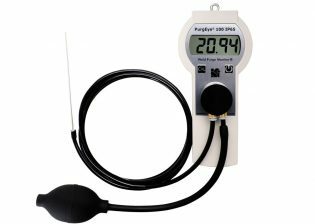 The PurgEye® inert gas welding monitor replaces the old, out of date MKV model, which companies are still selling today. The MKV is not IP65 rated against dust or water, has an out of date probe assembly, which can leak oxygen, has no low battery or low sensor indicator and has no auto calibration feature. View our comparison chart and see why you should update you monitor today! We are so confident that you will love our PurgEye® 100 that we offer an exchange scheme. Rather than putting your old style Mark V, Mark IV or even Mark III in the bin, use our Exchange/Replacement Scheme instead. Return out of date old monitors to use, even other types of oxygen monitors and out scheme allows you to update for the latest technology at a fraction of the cost. Inert gas monitoring, or as we like to call it here at HFT, Weld Purging, has never been so convenient! For other metals such as titanium or zirconium, a lower oxygen level is required. 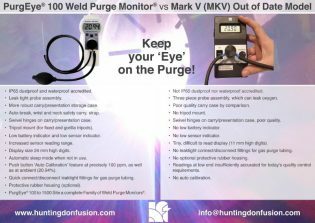 Please view our 10 ppm PurgEye® Weld Purge Monitors®. A quote below from one of our customers ! I am a huge fan of the Huntingdon products and have talked others over the years into using them. The purge meters are second to none. I own and use regularly my PurgEye 100 and my PurgEye 300. In fact I think somewhere i still have my original Argweld® MKV monitor which sadly no longer powers up. I am a very rare breed because as well as having 3 degrees and a complete academic understanding of metallurgy but more importantly welding science, I also have over 20 years hands on experience of welding on drill floors, firing lines and vessel shops. I quite literally have a passion for old fashioned welding!